Nothing gets a hunter’s heart beating like the sound of a tom turkey’s gobble from their early morning perch. Hidden among the thick timber and winding ridges of Illinois is a turkey heaven. A combination of natural forage, food-plots, and CRP provide our hunting leases with high-quality turkey habitat. Hunting with us, you will find yourself in the middle of the action. Illinois Lodging cost is $25.00 per night that is included in the hunt price. Extra night lodging is $25.00 per hunter. 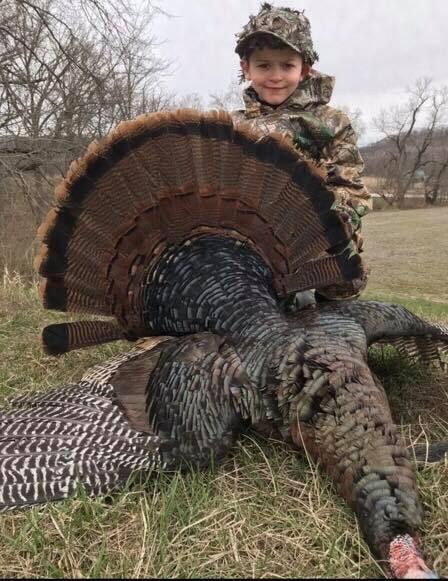 The youth spring turkey hunts are free to youth hunters 15 years of age and younger, The only cost is for the Turkey Permit & Lodging on the youth hunts. 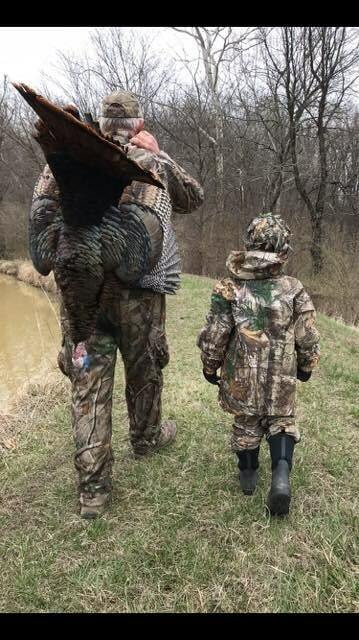 Offer is only for the Illinois Youth season. Licenses are available online at the Illinois DNR by clicking the button below. 3rd Lottery: Illinois residents and nonresidents (customers who have been issued a permit in the 1st or 2nd Lottery may submit one application in this Lottery). Customers who have not been issued any permits may submit up to two applications in this Lottery). 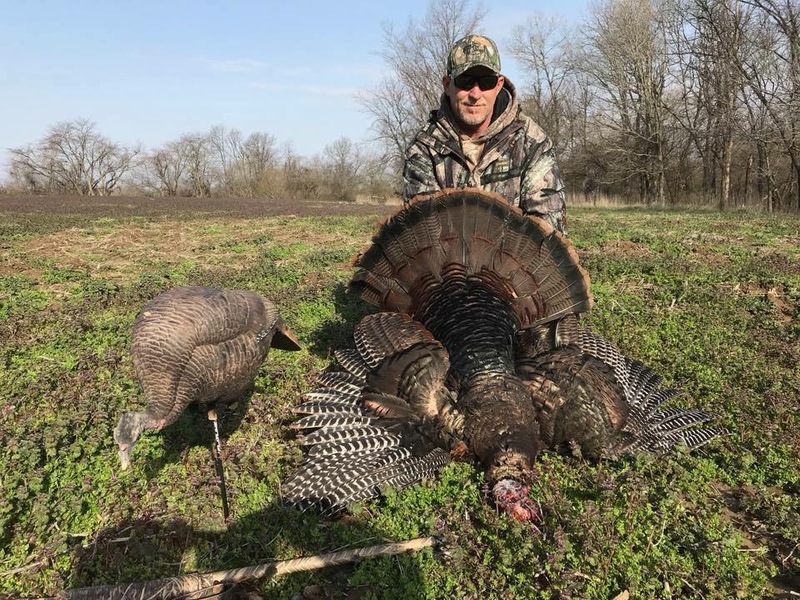 OTC Permits: Remaining County-Issued Spring Turkey permits will be sold OTC at local vendors from 3/12/19 at 8 a.m. first come-first serve. No one may exceed the 3-permit maximum. Spring Turkey hunting (Youth, Landowner, and Lottery-Issued permits count toward the 3 permit maximum. • The only firearm that can be used to hunt wild turkey is a shotgun (20 gauge to 10gauge only, no .410 or 28 gauge allowed). You may not possess any other type offirearm for the purpose of hunting wild turkey. •No. 4 shot is the largest shot that may be used while hunting turkey with a shotgun. •To use a crossbow it must have a minimum draw weight of 125 pounds; minimumoverall length of 24 inches; a working safety; and used with fletched bolts or arrows of not less than 14 inches (not including point). 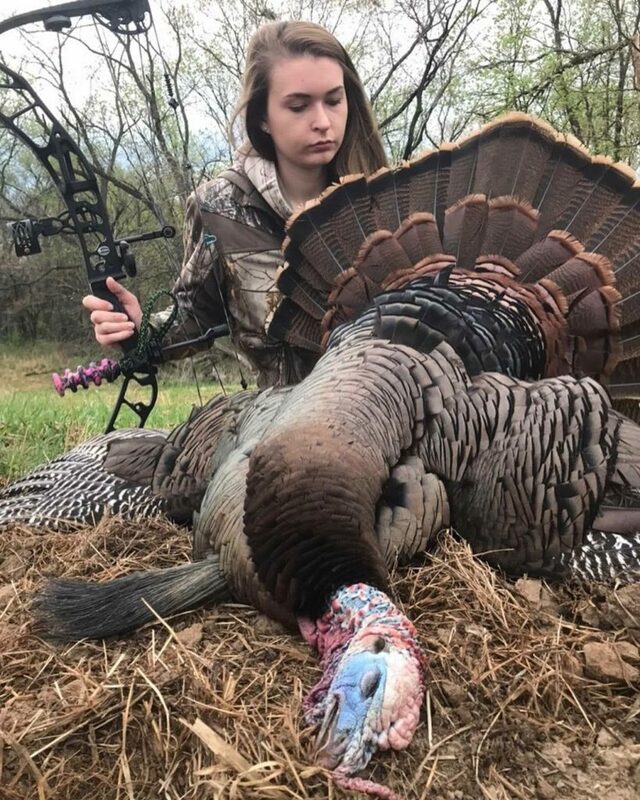 • Broadheads must be used for archery turkey hunting. Broadheads may have fixed (must be metal or flint-, chert or obsidian-knapped) or expandable (must be metal)cutting surfaces, but they must have a minimum 7/8 inch diameter when fully opened. • All other bows and arrows, including electronic arrow-tracking systems utilizing radio-telemetry, are illegal. 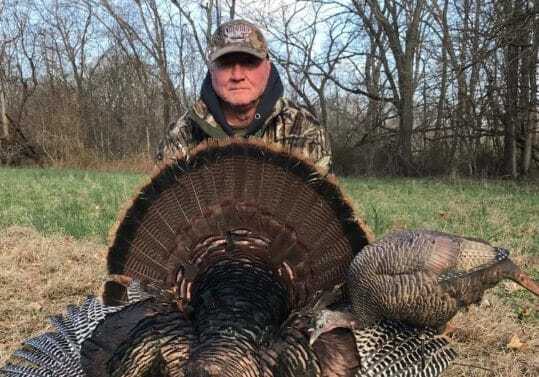 • It is unlawful to have any firearm in possession while hunting turkey with any type of bow and arrow (but see Statewide Regulations on concealed carry handguns). Clothing Requirements • Hunters may wear all camouflage clothing during the spring turkey season. No blaze orange or blaze pink clothing is required, but hunters are encouraged to wear at least a blaze orange or blaze pink hat or vest when not actively hunting to maximize visibility to other hunters. Turkeys Legal to Harvest• Only toms and jakes (males) or a hen with a visible beard are legal to harvest duringthe spring season. For availability on the Illinois spring turkey hunts please contact Edwin Harpole at the email or phone number below.